We would like to welcome you to Rock Bottom Farm. We are an established working Farm for 30 years. 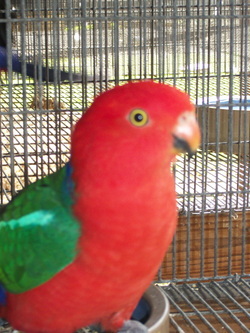 We have specialized in four species of Cockatoos (Moluccans, Umbrellas, Eleanoras, Medium Sulphur Crested and also Lesser Sulphur Crested) We have also for twenty eight years kept and bred Australian King Parrots and also Amboina King Parrots. Over this period of time we have had the opportunity to put together several unrelated breeding pairs of each species. We also have raised several species of Rosellas and some of their mutations. This introduction is not about us, it is about the birds. So browse through some of the photos, we hope you enjoy the site. As you will notice there are no prices listed under Birds for Sale. If you have a further interest in our Birds please call the Farm. If no answer please leave a message and we will return the call.